ALEXANDRIA, Va. – There are 153,237 convenience stores operating in the United States, a 1.1% decline from last year’s record of 154,958 stores, according to the 2019 NACS/Nielsen Convenience Industry Store Count. The count is based on stores as of December 31, 2018. The decrease in stores was fueled by a 2,198-store decline in single-store operators, which still account for 62.3% of all convenience stores (95,445). A key trend within the U.S. convenience and fuel retailing industry continues to be strong mergers and acquisitions activity, particularly among existing convenience store chains. Like 2017, the industry experienced historically large M&A deals in 2018, but also saw new entrants to the U.S. market from global companies based in Chile and the United Kingdom, for example. “With expanded competition for the convenience customer and an active M&A environment, retailers increasingly need to up the ante on delivering a quick and exciting shopping experience by investing in their core offer of convenience. “With one in seven stores getting remodeled every year at a cost of $400,000, that can put pressure on some stores whether to modernize operations or exit the business,” said NACS Vice Chairman of Research Andy Jones, who is president and CEO of Spirit Food Stores Inc. (Wrens, GA). The number of convenience stores that sell motor fuels decreased 0.5% (554 stores) to 121,998 stores, which is 79.6% of all convenience stores. Overall, convenience stores sell approximately 80% of the motor fuels purchased in the United States. The decline in the number of convenience stores selling fuel is reflective of retailers evolving their business models to focus more on the in-store, foodservice offer, as well as retailers embracing new store formats and establishing their brands in more urban, walk-up locations. 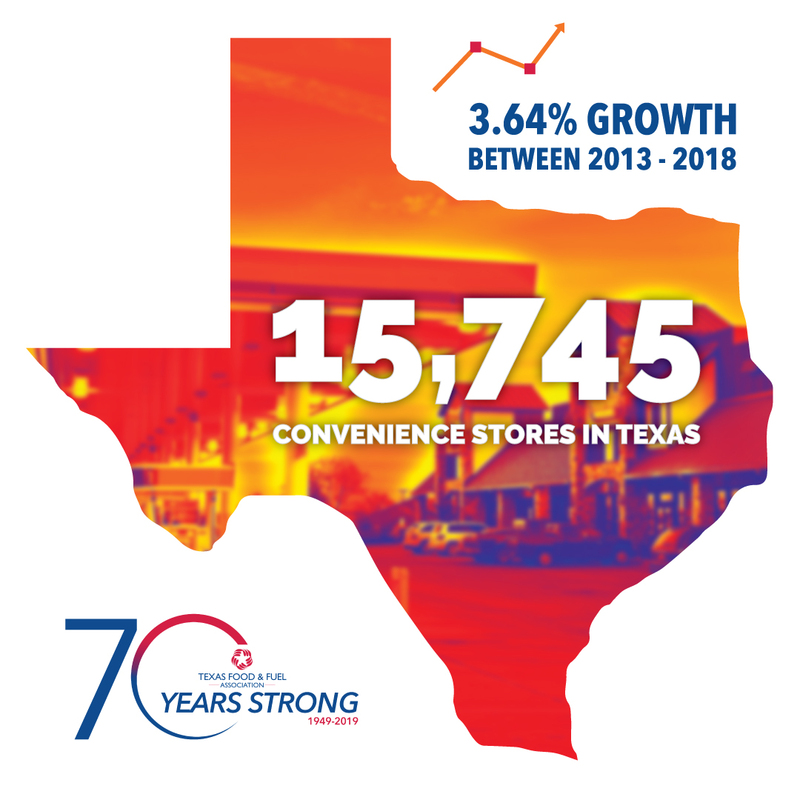 Among the states, Texas continues to lead in store count at 15,745 stores, or more than one in 10 stores in the country. California is second at 11,930 stores, followed by Florida (9,803), New York (8,550), Georgia (6,698), North Carolina (6,069), Ohio (5,637), Michigan (4,930), Pennsylvania (4,778) and Illinois (4,753). The bottom three states in terms of store count are Alaska (200 stores), Wyoming (352) and Delaware (346). The U.S. store count has risen 28.3% since 2000. This year marks only the fourth time the U.S. convenience store count has declined during that time.